EDNOS is a term used to describe an eating disorder that does not meet the diagnostic criteria for Anorexia, Bulimia or Binge Eating Disorder. A person suffering from EDNOS may show signs from some or all of these disorders, but not fit into just one. Several types of EDNOS have been defined. Purging disorder involves episodic purging, via self induced vomiting, laxative use, diuretics or enemas. There is no binge eating episode prior to the purge episode, and the person is usually of normal weight. Body Dysmorphic Disorder involves an unhealthy pre-occupation with a particular part of ones body. It is usually an intense dislike or rejection of a certain feature or body part. If the pre-occupation is with ones weight, this can often develop into a clinical eating disorder, such as Anorexia. Anorexia Athletica is a disorder characterized by an obsessive amount of exercise that can become unhealthy and dangerous to the individual. The disorder often develops out of a distorted self image or as a substitute for limiting food intake or purging. In a similar fashion to other eating disorders, a person with Anorexia Athletica will use exercise as a means of control and skipping an opportunity to exercise leads to feelings of guilt and shame. They will often make time to exercise, even if it means missing work, school or other social events. There are many physiological risks associated with Anorexia Athletica, including chronic dehydration, overuse injuries, stress fractures and long term osteoporosis. Orthorexia Nervosa involves an obsession with only eating food an individual believes to be healthy or specifically beneficial to them in some way. The intent of the disordered eating is not to be thin, rather a desire to consume only foods that are ‘pure’. However, like Anorexia Nervosa, it leads to severely restricted eating. Individuals tend to spend excessive amounts of time planning meals and shopping for food. They avoid social gatherings involving food, isolate themselves and eat alone. Like main stream eating disorders, EDNOS all involve a psychological root which must be considered and explored when undertaking treatment. A team approach is recommended, and a GP, psychologist and dietitian should work hand in hand to ensure optimal support for the patient. 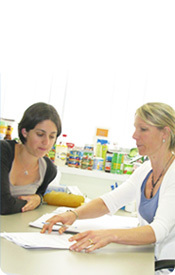 A dietitian will be involved in educating the individual on healthy eating that focuses on regular meals, snacks and good variety. Re-igniting an interest in food and social situations involving food, and working to prevent situations where restricting/binging/purging/over exercising are possible will ultimately help the patient in their recovery.